In the waning days of World War II, Korvettenkapitän Hans Kruger is given command of a super secret new U-boat. Powered by the revolutionary Walter hydrogen peroxide turbine propulsion system, U-2317 is capable of submerged speeds more than three times faster than any previous submarine, and is equipped with the most advanced radar, detection gear, and torpedoes available. But these advances come with a high price. The propulsion system is still experimental, and prone to potentially disastrous problems. Kruger, now Germany’s most highly decorated U-boat “ace” still at sea, must also face his own problems. His parents are dead, his brother a prisoner of the Russians, his love life a shambles. He must also face a triumphant Royal Navy, which has already killed three fourths of the German submarine force. This exciting novel thrillingly portrays the deadly tension of life at sea, where courageous men must again and again venture forth to face an overwhelming enemy in a battle they know is already lost. 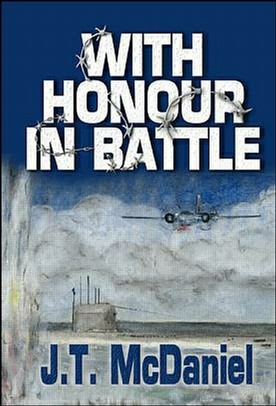 Pitting technology against a triumphant foe, With Honour in Battle tells a compelling story of courage, determination, and sacrifice in the face of hopeless odds.